Boxes of avocados wait to be brought into the main storage area at the new Index Fresh avocado facility Tuesday, Jan. 9, 2018, in Pharr. The 60,000 square-foot facility will be used for storing and ripening avocados before they are shipped to markets around the United States. PHARR — Fresh from Mexico, boxes of avocados sat in the 38-degree facility Tuesday, waiting to be shipped to their final destination. Some recipients prefer green, others favor dark. Costco and Walmart typically take theirs green, which means they’re firm — better for their bulk-buying customers looking for the fruit to last longer. H-E-B opts for a darker hue, usually a softer feel — more readily available to eat closer to purchase. These stores across Texas, the Midwest and the East Coast will now be working with a new distribution center. 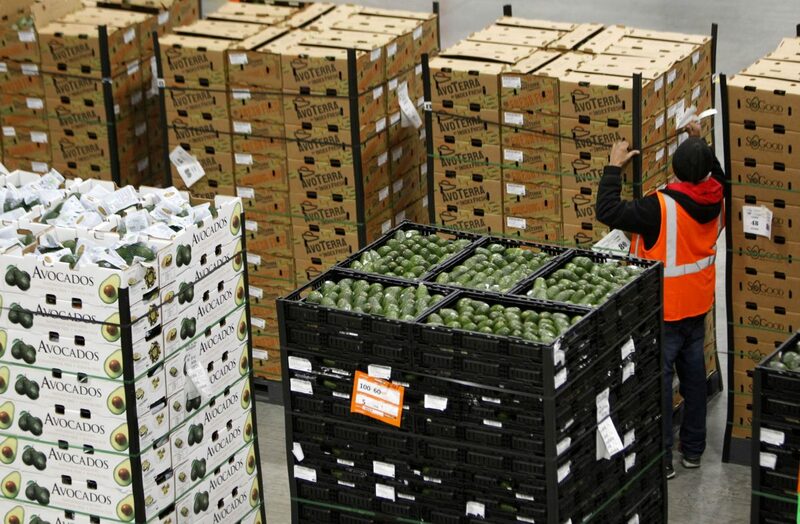 Index Fresh, the California-based company that’s been handling avocados for more than 100 years, unveiled its 60,000-square-foot avocado distribution center Tuesday near the Pharr-Reynosa International Bridge, the top produce port of entry in the United States. Avocados that have been sliced in half for quality control sit on a table in the receiving area of Index Fresh Tuesday, Jan. 9, 2018, in Pharr. Dana Thomas, president of California-based Index Fresh, talks during the opening of their new avocado storage facility Tuesday, Jan. 9, 2018, in Pharr. About 25 people are employed at the facility right now, and that number will likely eclipse 30 in the coming weeks, according to Manrique Palacios, manager of the new operation. This is the company’s first location in Texas, and will mostly be working with avocados from Michoacán, Mexico, which sits along the Pacific coast, west of Mexico City and south of Guadalajara. 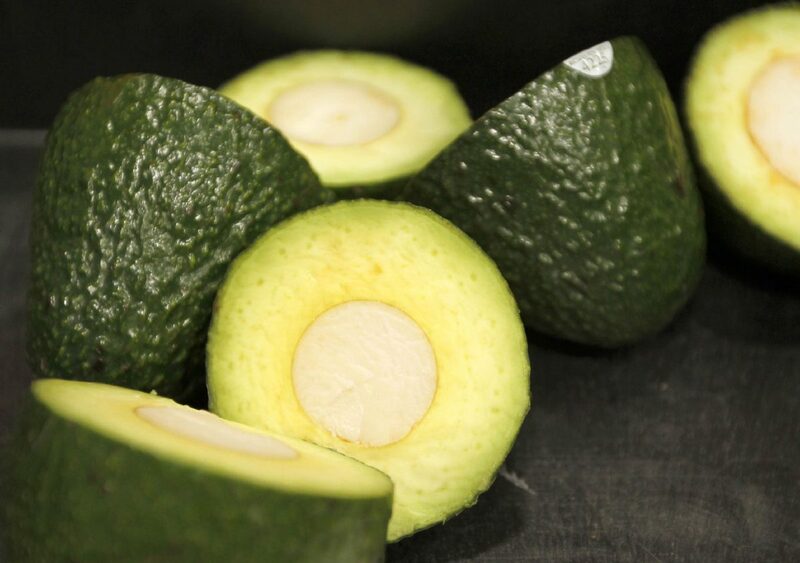 Palacios said about 65 percent of the avocados will come from Michoacán, 20 percent from southern California and the rest from Peru and Chile. The facility takes in about 25 to 30 truckloads of avocados per day, and sends out about the same amount, Palacios said. They house an office for the U.S. Department of Agriculture, which is required to inspect each avocado flowing through the facility. In the belly of the building are three ripening rooms, which help bring the avocados from the hard green to a dark, purple shade. The rooms each fit 20 palettes of avocados, with bagging and re-packaging stations nearby. 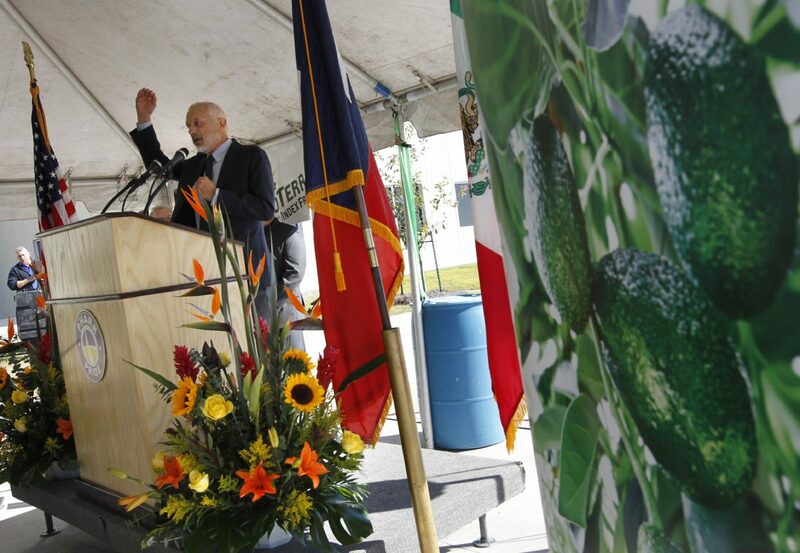 State Sen. Eddie Lucio Jr. was also in attendance Tuesday and recognized the importance of avocados for many Americans, but especially in the Rio Grande Valley. “I don’t think a day goes by without avocados being part of our menu,” he said.